Pop music can be a great way to express ideas. Developer Simogo is looking to express its ideas not just through a pop album, but a pop album video game. 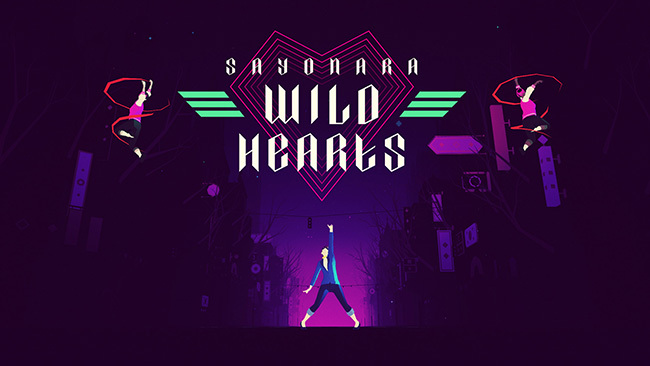 Sayonara Wild Hearts is not your typical rhythm game. Leading with its style, players won’t be hitting notes to match the music as it plays in the background. Instead it leaves most of the decisions up to the players. 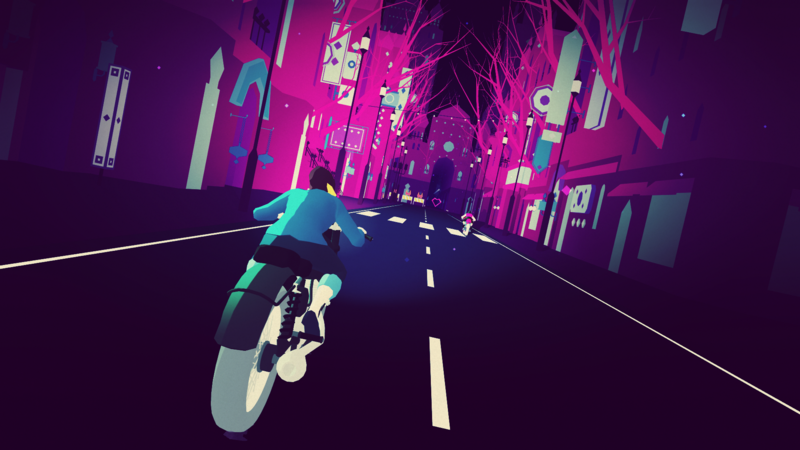 Whether it’s riding on a skateboard or booking it down a street on a motorcycle, players can move freely, directed only by different shapes in the road. These shapes are what increase the score and are also sometimes the visual representation of what is going on in the music at the time. Sure there is a path that will reward you with the most points, but enjoying the ride seems to be more of the focus. In the demo there were a few times when players had to hit a button at an exact moment in the music, but this was often reserved for combat with some of the other characters in the game. Although much was not conveyed about these other character in the demo, they appear to be gangs of like-minded individuals. The demo overall was light on world building, invoking arcana and tarot cards at the beginning, with the player character taking the role of The Fool. It also never played through a full song of the game. Giving players a little taste of a few tracks but saving a lot of it so it can be experienced fresh in the full game. Sayonara Wild Hearts is worth keeping an eye on if you are interested in pop music and its aesthetic. A solid release date has not been given yet, but it is aiming for release in 2019 on Nintendo Switch and iOS.